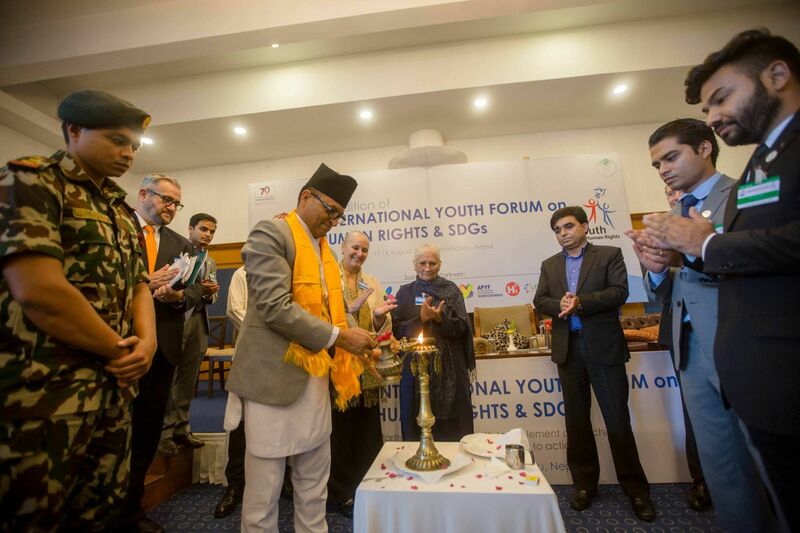 Youth for Human Rights Nepal hosts regional summit in Kathmandu. 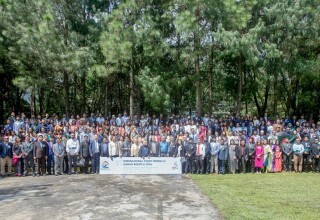 Dignitaries, officials and youth delegates from 15 nations attend. 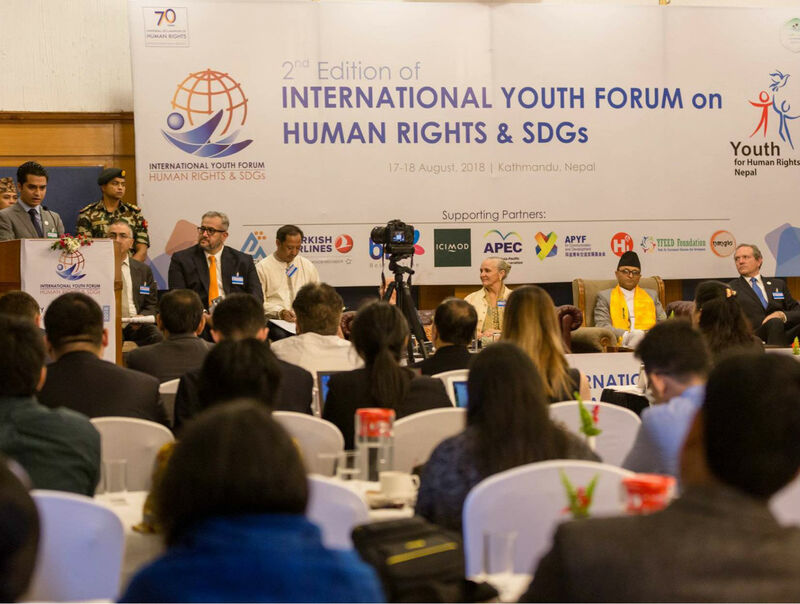 KATHMANDU, Nepal, September 10, 2018	(Newswire.com) - ​​​​​More than 200 human rights advocates from 15 nations took part in a regional Youth for Human Rights Summit last month to support the UN Sustainable Development Goals (SDGs) through human rights education. Honored guests included Youth for Human Rights International President Dr. Mary Shuttleworth and the Right Honorable Speaker of Parliament of Nepal Mr. Ganesh Prasad Timilsina, who opened the conference with a traditional candle lighting ceremony and delivered a presentation on the importance of the initiative. 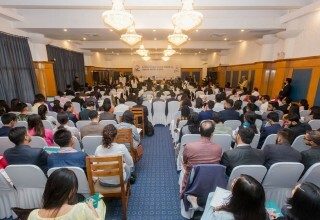 Others addressing the morning session were a board member of the Nepal Human Rights Commission, a representative of the World Bank and a former Minister of Finance of Nepal. 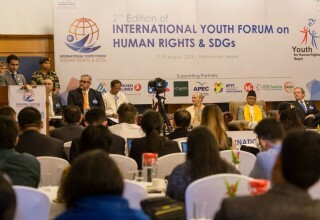 In the afternoon, Dr. Shuttleworth moderated a panel discussion with questions from the floor on human rights issues and how they relate to the SDGs. 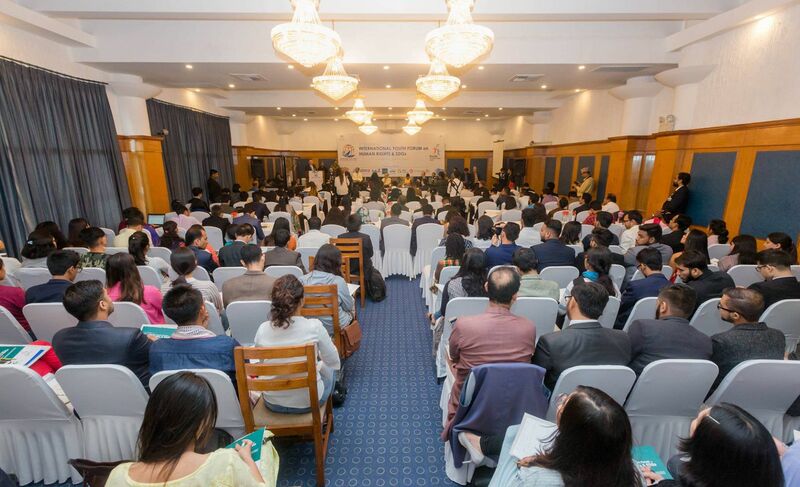 Speakers for the second day included the executive director of the NGO Federation of Nepal; a member of the UN Permanent Forum on Indigenous Issues (UNPFII), the vice chair of the National Youth Council and a representative of the Nepal Ministry of Youth and Sports. 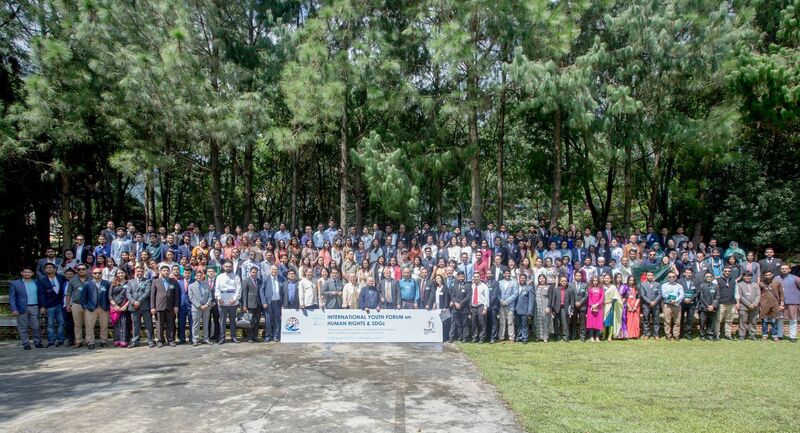 Throughout the summit, the focus was on positive actions where government and civil society can cooperate to improve conditions and achieve the moral framework of the UN Declaration of Human Rights and the practical targets of the UN Sustainable Development Goals. 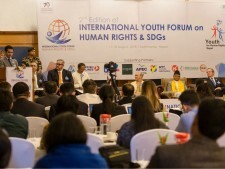 Adopted at a summit of world leaders in September 2015, every one of the 17 Sustainable Development Goals aligns with the 30 articles of the Universal Declaration of Human Rights. The SDGs are: No Poverty, Zero Hunger, Good Health and Well-being, Quality Education, Gender Equality, Clean Water and Sanitation, Affordable and Clean Energy, Decent Work and Economic Growth, Industry, Innovation and Infrastructure, Reduced Inequality, Sustainable Cities and Communities, Responsible Consumption and Production, Climate Action, Life Below Water, Life on Land, Peace and Justice, and Strong Institutions and Partnerships to achieve these Goals.